is that a normal find at Shoreham airport? @shannejw No - it's mostly small aircraft that fly in and out. 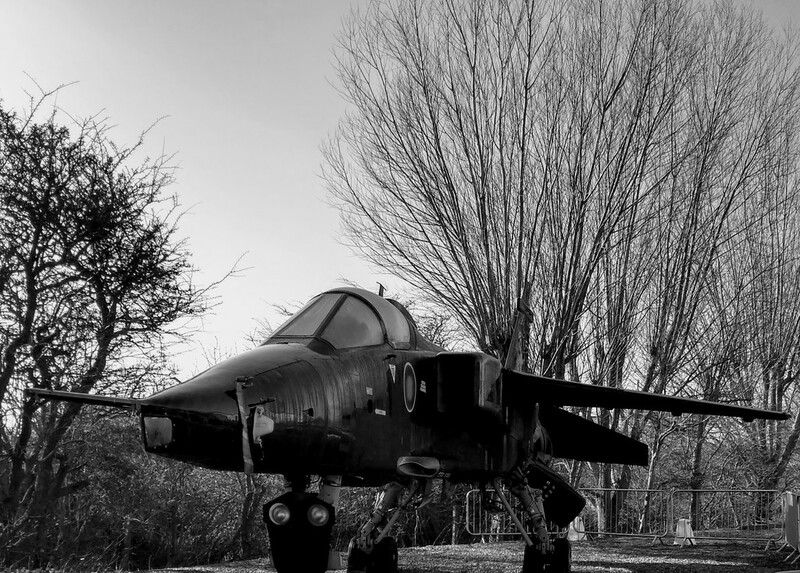 I don't think this one actually flies anymore - it is a decommissioned RAF plane that sits at the entrance to the airport, outside the aviation company that owns it. It has been there a few years - they had a Tornado (I think) there before that. Good in black and white.